Apple is gearing up for a special media event next month related to its television initiative that may deliver the tools developers will need to prepare applications for a formal relaunch of the company's Apple TV product, analysts for Jefferies Equity Research said Wednesday. Editor's Note: It has been brought to our attention that certain specific claims of the Jefferies report are somewhat suspect, specifically the following media event allegedly slated for March. AppleInsider has reached out to analyst Peter Misek, who maintains a high level of confidence regarding his hardware predictions. As with any research-based report, the information within should be taken with a grain of salt. "Channel checks indicate Apple has a product event in March that is Apple-TV related (possibly an iTV SDK introduction)," analyst Peter Misek wrote in a report issued to clients. "We think a Sep/Oct iTV launch is being targeted." Currently, Misek is modeling Apple to sell 2 million of revamped Apple TVs during the third quarter of this year but told investors he may need to be pushed back his estimates a full quarter if the launch of the product occurs in October rather than September. We expect a price point of $1,500+ for a 42 to 55 model and also expect a below corporate average [gross margin]. Apple is likely to largely rely on leveraging content via partnerships with existing pay-TV operators. 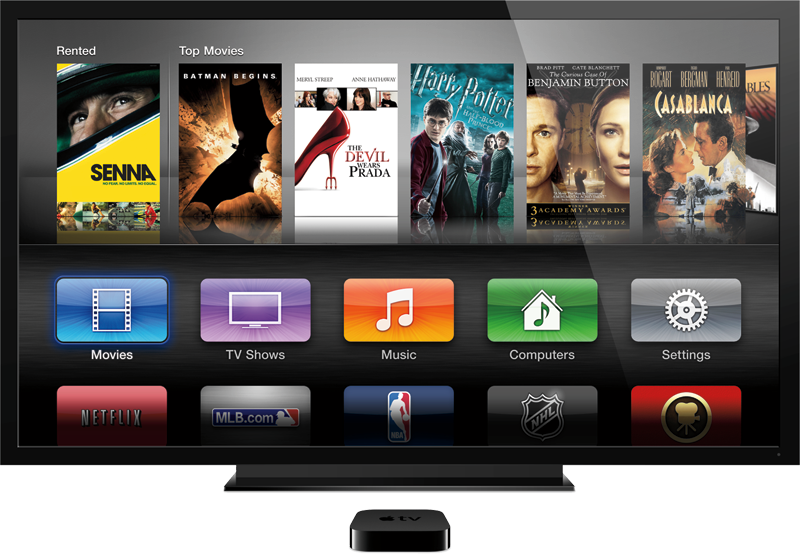 The possibility of an Apple TV has been a point of rumor and speculation for years now, as industry observers and Apple fans alike look to the Cupertino company to revolutionize the television experience in the way it has mobile phones, music, and computing. Rumors and reports have picked up in recent months, helped in part by statements from Apple. During the company's quarterly conference call, CEO Tim Cook said of the television segment "there's a lot we can contribute," and that Apple was keeping an eye on the sector. Apple's current TV-connected product, the Apple TV, sold about two million units over the past quarter. A good deal of the speculation from the investor side has to do with a desire on their part for Apple to diversify its offerings. With smartphone profits seemingly plateauing, some analysts look to television and wearable computing as possible areas of expansion for Apple. Recently, a Morgan Stanley report claimed that a move into television and smartwatches could net Apple an additional $80 billion in yearly revenue. Update: The always-reliable Jim Dalrymple has refuted Jefferies claim of a media event from Apple next month after hearing from to his contacts at Apple. Dalrymple's track record on matters such as these has thus far been spectacular.